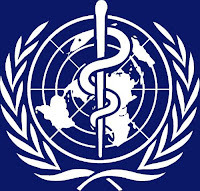 "The Codex Alimentarius Commission was created in 1963 by the FAO and WHO to develop food standards, guidelines and related texts such as codes of practice under the Joint FAO/WHO Food Standards Program. The main purposes of this Program are protecting health of the consumers and ensuring fair trade practices in the food trade, and promoting coordination of all food standards work undertaken by international governmental and non-governmental organizations." This is their welcome statement on their website. There initial intent was to keep food safe. But corporate interests such as the pharmaceutical, pesticide, biotechnology and chemical industries have taken interest and have taken over. Codex Alimentarius is also backed by the World Trade Organization. The WTO uses the Codex standards to regulate food. So any nation who is non-Codex compliant, will loose any trade with any country who is. 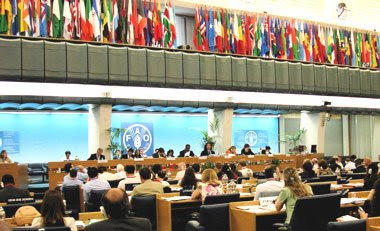 The Codex Alimentarius Commission consists of two committees that impact nutrition. The first is the "Codex Committee on Nutrition and Foods for Special Dietary Uses” or the CCNFSDU. This committee is chaired by a doctor who believes that nutrition has nothing to do with health. That's right, Dr. Rolf Grossklaus, chair to the CCNFSDU was quoted “nutrition is not relevant to health” and he's the one who writes the policy on nutrition. He actually declared nutrients as toxins in 1994 and initiated the use of toxicology (Risk Assessment) to prevent nutrients from having any impact on people who take supplements. Dr. Rolf Grossklaus OWNS the risk assessment company that advises the CCNFSDU. HUMMM. This company actually makes money when its toxicology services are used for the assessment of nutrients. WTF!!! "Toxicology (from the Greek words toxicos and logos) is the study of the adverse effects of chemicals on living organisms. 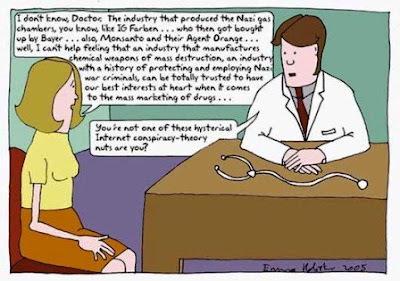 It is the study of symptoms, mechanisms, treatments and detection of poisoning, especially the poisoning of people." Shouldn't they be using Biochemistry?? "Biochemistry is the study of the chemical processes in living organisms. It deals with the structure and function of cellular components such as proteins, carbohydrates, lipids, nucleic acids and other bio-molecules." 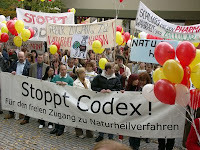 Codex Alimentarius pretends to be on the side of consumer protection. To make sure our food is healthy and non-contaminated. This is direct from one of there propagating publishing's. practices in the food trade is immeasurable." World Trade Organization (WTO) Agreements." Codex are the gatekeepers to the food we eat. Remember, the drug company's are the one's who fund the scientific "risk assessments" and have launched a multimillion dollar ad campaign to mislead people into thinking Codex is there for "your protection" and that natural health options are dangerous. Their really training people on what to eat what and they say is OK to eat. 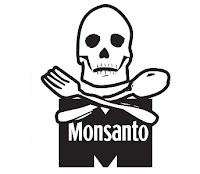 Monsanto® and Bayer® are just two of the company's who are backing the Council for Responsible Nutrition or CRN, who in turn back the Codex Alimentarius standards. They along with the National Nutritional Foods Association or NNFA, they too have joined forces with Codex Alimentarius and excepted there standards as well. What does all this mean??? Well lets put it together. The Codex Alimentarius risk assessment agrees that “nutritional supplements are dangerous to people’s health”. This is what their try to propagate among the world. That nutrients are "toxic", making therapeutic dosages of vitamins and minerals "nutrients" toxic, and in order to protect you from these toxins they need to be made illegal. Sounds Crazy?? Think about it, these large drug company's don't want nutritional supplements around. Why? Because they work make people healthy and take direct profits from western medicine. If you don't have sick people, you don't sell any drugs. Here's where it gets really scary. If they are able to blindly fool the world and implement nutrients as "toxins". The US congress will have no choice but to protect it's citizens and comply with the Codex Alimentarius standards. To have the wool pulled over the eyes of people, creates a lack of activism. Why be active about something most people don't know anything about. "This lack of activism allows our protective laws, classifying nutrients as foods with no upper limits (such as DSHEA), to be easily repealed and replaced with draconian laws to classify nutrients as toxins. 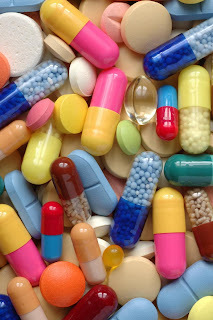 And “harmonization” with the pro-illness, pro-pharmaceutical industry Vitamin and Mineral Guideline is there to fill the void." standards, and the only reason they would allow this so say they still support natural supplements. Take the heat off. The other tings that I feel is important to realize is that the slower this process takes, the less likely anybody will notice, and that's exactly what they want. 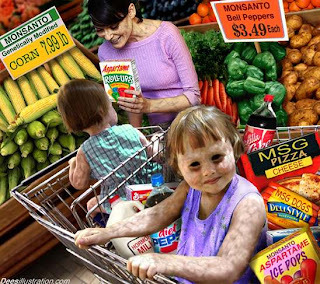 The Codex Alimentarius standard is supposed to go global between December 2009 spring 2010 and is being implimented by the WTO here in the US. Then is to be forced onto rest of the world by "the threat of massive economic sanctions if WTO-countries do not comply with Codex Alimentarius. 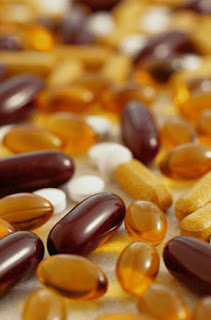 Natural supplements have been on the rise for quite some time, and the large pharmaceutical company's are getting scared because of the loss of profits. The wellness trend is huge and getting bigger. They plan on putting a stop to it! "Instead of accepting the will of the people and rethinking the future of the pharmaceutical industry, the industry has decided upon an unethical course of action: the use of deception and deceit to eliminate natural health products completely"
Sounds like the rest of the big money making CEO's in this country. GREEDY, GREEDY, GREEDY!!!! Anyone who has power in a major corporation seems like they could really give two shits about anybody but themselves. It's all about the money, history has proven that. "Furthermore, Codex is based in the Napoleonic Code, not Common Law. That means that under Codex Alimentarius, anything not explicitly permitted is forbidden. Under Common Law, we hold that anything not explicitly forbidden is permitted. The difference is the difference between health freedom and health tyranny. Codex Alimentarius would be able to ban supplements by default." And take the three steps. We do have power, were just made to think that we don't. People in Congress I imagine like there jobs, and we are the ones that keep them there. Time to do your job as a citizen and take action. Unless you just don't care what goes into your mouth. "Once we have “HARMonize” to Codex Alimentarius, as long as we are in the WTO, we cannot amend or change what we’ve been “HARMonize” to." 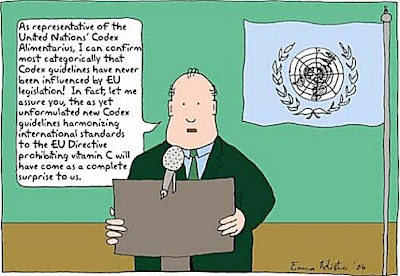 "Codex Alimentarius will go into global implementation by December 31, 2009, unless We, the People, avert it. We must act now because right now, with $758 Million spent on declared Congressional lobbying by Big Pharma last year, there are members of Congress who are trying to overturn DSHEA and allow Pharma-friendly free reign for Codex. If protective laws like DSHEA are destroyed, the sanctioning power of the autocratic WTO kicks in, and it will be impossible to get out from under Codex Alimentarius. We can protect our access to high potency nutrients and stave off an adulterated food supply only by putting pressure on Congress." Most of the facts and quotes are directly taken from www.healthfreedomusa.org. Please go to there site and explore for yourself. They are the experts.